So it’s been a week since NaNoWriMo ended for this year and I am pleased to report that I “won” for the third year in a row. And, a gigantic improvement over last year, I don’t hate my manuscript! NaNoWriMo will always hold a special place in my heart because it was the thing that got me writing seriously. 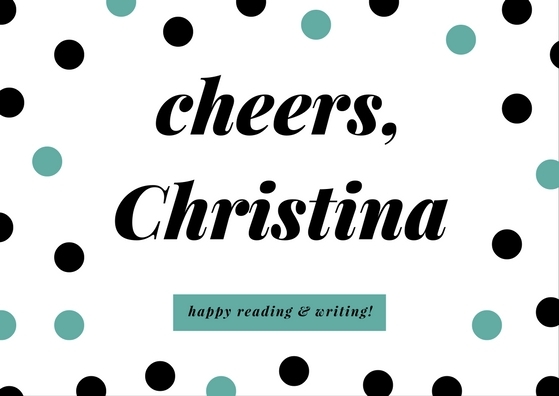 And now, with 3 under my belt, I enjoy sharing it with my students and writing friends. 1. Give yourself a head start. I am very fortunate that my job has some time built-in at the beginning of every November for me to do as I please. I now spend it writing. My first Nano, I holed up at a coffee shop for 2 days and banged out 10K. Last year and this year, I went on retreat with three of my critique partners and got 12K and 13K respectively. If you know what you want to write ahead of time, and you eliminate whatever your personal distractions are for a day or two (use a sick day perhaps, if your schedule permits it), you’ll be amazed at how many words you can write. 2. Plan ahead. I’m not a detailed outliner, but I do like to make notes and mull things over before beginning a new draft. Last year, I had a very loose idea of plot points and spent too much time figuring out my characters’ names. This year, I let my ideas and my characters marinate for about two weeks, and didn’t write anything else in that time, and took notes in Scrivener as the ideas came to me. I think making decisions about characters and their personalities/motivations was the most useful. When I got stuck, I had something to fall back on. Which year was more successful? 2014, by far. My lack of planning in 2013 really took its toll on the story. 3. Research in advance. Even if you’re creating a world entirely from scratch, there’s gotta be something you need to google to help you out. This year I wrote a book about swimming. I’ve never been on a swim team and haven’t taken a lesson in over 20 years. So I interviewed 2 experts – a student-athlete and a coach – for over 5 hours and took copious notes. I also read a number of documents online about various related topics. I saved items I knew I would need in Scrivener, but the process of talking about these ideas with experts was invaluable, so I rarely had to refer to the notes. Just talking put me in the right mindset. And, it saved me valuable time during November. 4. Rely on friends. Nano should never be a solitary experience. Even if your critique partners or fellow writers aren’t participating, just letting them know that YOU are helps you be accountable. I spent time with writing friends both in person and online, both of which got me really amped up about reaching my goal. 5. Reward yourself. 50,000 words is a lot. Just under 1,700 words a day is daunting, especially in a month where many people travel for several days or have family obligations more than normal. Make yourself feel good about what you do accomplish. 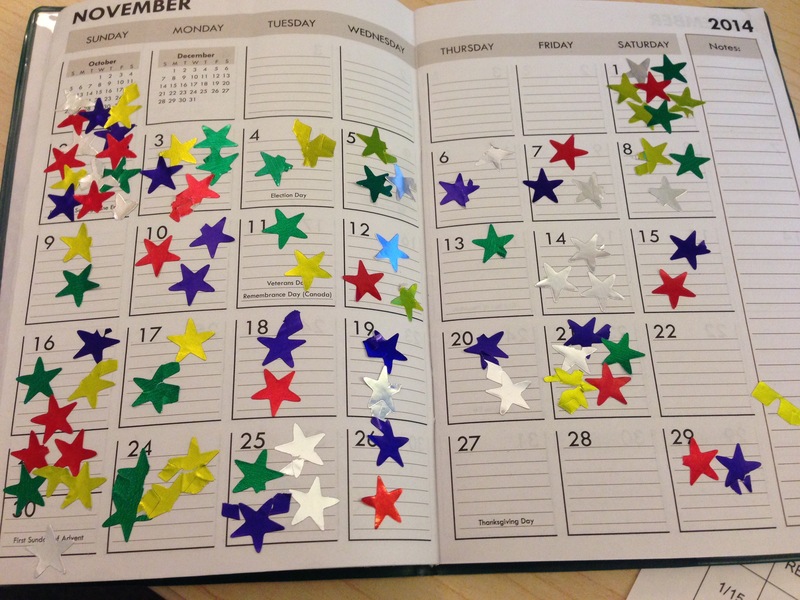 I give myself stars for every 500 words written. November looks pretty impressive on paper! I also tend to reward myself with more coffee, which can be both a good and a bad thing. That’s it. Piece of cake, right? Sure. If I can do it, you can do it. I’m always on the look out for new tips – what helped you get through November this year?